i think a lot about prayer. about how i can become better at it. about how i pray, and how i don't. i remember being fourteen or fifteen years old, with a group of my girlfriends and a mentor, praying like i never had up until that point in my life. we were at a youth conference and i was so convicted. i prayed aloud and in my head. i prayed over and over again for salvation for my loved ones. i prayed harder and with more heart than ever before. i could feel my insides turning over and aching for His presence. a few years later i remember pulling my car into a parking lot, leaning my head onto the steering wheel and crying out to God. looking back on it now, i was a just another heartbroken teenage girl, but right then, in that moment, i prayed and spoke with such real and raw emotion. and i felt Him so close. i had been hurt by a boy. i prayed that the Lord would take him away from me. i knew i needed the Lord to take Him out of my life for me to stop wanting to have him be a part of it. i prayed this and cried out to my God, with tears rolling down my face. LORD, TAKE HIM OUT OF MY LIFE. PLEASE LORD. over and over and over again. He answered my prayers. about two years ago, one of my best friends lost her baby at almost 15 weeks gestation. this was the third baby she lost that year. this wrecked me. why God? why her? why someone who loves you and serves you, who's family has given their lives for sharing the gospel? i prayed, and cried, for weeks. and not so long ago caleb and i's hearts were aching to grow our own family again. we prayed for Him to have control over my womb and we prayed that He would open doors for us and steer us in the right direction when it came to adoption. we felt Him so strongly saying MOVE. He opened the doors and we both felt His presence so strong during those exciting and anxious weeks of signing up for our classes, scheduling our home study, and making that first hefty payment. and then we found out we were pregnant with story. and we found out that He has got quite the sense of humor. i thanked Him over and over for the unexpected blessing of her precious life. and prayed over and over again for that baby to be. and still do. those are some prayers moments in my life that i will always remember. moments that stick out to me of feeling a such a fierce prayer connection to my Savior. but, prayer isn't always like that for me. i don't always have a real, raw, emotional connection with God through prayer. it's something i'm convicted about but also something i learning to redefine in my mind. prayer is simply open communication God. chances are you are doing it right now. i loved her for saying that. it was when i needed it the most. because i sometimes forget this. even though it seems silly… a girl who has known God for so many years should know this. but, i often focus on what i feel like i am doing wrong in my prayer life, when i am really talking to Him all day long. "please Lord, please Lord, please Lord let her sleep." get a phone call from a friend with a heavy heart. "Please be with her right now God. she needs you." "please, just help them get along … for five minutes even. anything!" "thank you SO much Lord!" those little words are spoken, or thought, and then, in that very same moment, i am hit upside the head with a ball, or swiffering up the spilled apple juice, or just trying to keep my eyes open. and when i hit the bed at the end of the day, with very good intentions of spending some time in prayer, i speak a couple sentences and my mind drifts off to either a) what color i should spray paint those wall letters (just being honest) or b) i just fall asleep right then and there. truth be told i get distracted easily. my mind wanders a lot. my bits and pieces of please and thank yous to God all day long are real, and i do feel a true constant communication with Jesus. but there are things i am trying to discipline myself on in my prayer life that are make me feel closer and more connected with Him. praying together with my husband. we don't do this enough but we are working on it. when we do it is so sweet. just the other night we spent some time together in prayer over some struggles brody is having with fears and we just laid it all out there before God. together. and it was a holy moment before our God, as parents, as husband and wife, longing for comfort from our Savior for our little boy. when i pray aloud, and together with my husband, i don't struggle with finding words, and i don't struggle with a wandering mind. praying with my kids and teaching them about prayer. the teaching is mostly with brody right now since foster is only two. i hear myself reminding him that praying is just talking to God and that He wants to hear from us, about anything and everything we want to share… but, i am really reminding myself of this. writing down my prayers. this is huge for me. for some reason when i write down my prayers - blessings that i am counting and feeling so full of, or prayer requests and things that are weighing heavy on my heart, i can write and write and write. i write with emotion and feel so connected to God, and though i am not sitting there and "praying", i am sitting there and praying. i share these to remind myself to keep on pursuing a stronger prayer life, and so you all can hold me accountable. i share it to encourage any of you who struggle in this area like i do. and as a reminder to all of us that He loves to hear from us. that He loves to hear the little things and the big things. that He is there, longing for us to go to Him, if we can just take the time to do so. Doesn't it seem like the most sincere prayers just sort of spill out? Whether they be thankful prayers or prayers coming out of deep hurt. I feel like those ones are usually simple like the one you prayed for God to take that boy out of your life. Simple and true. so true. thank YOU for your words. im with you on ALL of this sister. 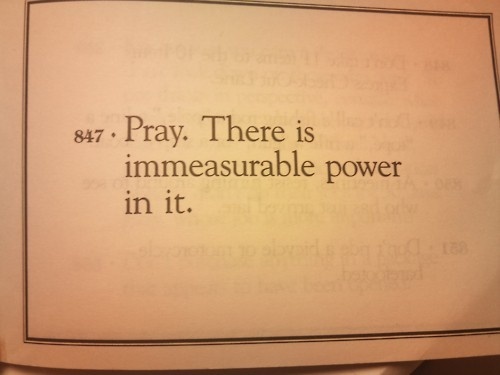 especially on the writing down of prayer. i have seen tremendous blessings from it (when i am on a roll with my prayer life) and find that it's easier to concentrate on pen and paper. This is a beautiful post! Such a great reminder to help my children and pray in front of them so that they become more and more comfortable! i need to remind myself of this all the time! My prayer life changed so drastically when I learned to take more time to listen...instead of just talking to him I try to take time to ask him questions and sit quietly and wait for his answer. It's amazing how he'll speak when I listen. Thanks for this post Danielle. thank you for sharing that, friend! i need to spend more time doing just that. such a beautiful heartfelt post and i can totally relate. prayer is probably the hardest thing for me because my mind is constantly wandering. Jesus is teaching me about prayer so much right now in this season of life, and i am so thankful. writing down my prayers is also a super helpful way for me to stay focused on what/who i am praying for and focused on who i am praying to. thank you for posting this, i am encouraged. danielle i really loved this post. prayer has always been a tough one for me, probably because i'm not talking with a tangible person sitting right in front of me, you know. it is easy to open a tangible, tattered bible and read til the sun comes up, but praying to someone i can't currently SEE, is sometimes hard. i want my prayer life to go past mealtime, naptime, and bedtime rituals and onto a more continuous, throughout the day focus on Jesus. me too, friend. that is the desire of my heart. I so needed to read this, girl! so glad :) thank you! Oh my gosh. I feel like I could have written most of this myself. The same "let her sleep!" prayers and wandering mind, even down to the in the car sobbing as a teenager asking for God to take a boy out of my life. Thank you for this encouragement and for putting to words what I am thinking about with you. I am so thankful that our little prayers not only reach the ears of God, but that He accepts them and answers! SO thankful he always answers. love this. i promised myself this would be the year i work on prayer, praying better, praying with my husband, teaching my oldest more about the power of prayer...where do i stand in all of this? I am still falling asleep at night while i pray. Tonight i will pray (before i fall asleep) that this promise of prayer be put in front, put to work..always work to do! Thanks for sharing. I too can relate, after having my little boy my prayer life totally changed. The whole first year, to be honest, it was greatly lacking. The last 6 months I have made a conscious effort to have more time with just me and Jesus. It is hard. Glad I am not the only mamma struggling in this department. I just finished a book called, The Circle Maker, it is a must for every mom struggling with prayer time. i am definitely going to check it out! thank you for sharing! A good reminder for me... Thanks for writing. This is something I've been acutely aware of the past few months. I think, as moms, we are so very busy and our headapaces that we can't always manage a very reflective and deep prayer time. Not to say it can't happen when your kids are young but we're always so exhausted, right? So it's a lot of those small prayers. And oh man, is there grace! Grace by the bucketload from our saviour! He knows the place we're in... He knows us intimately. So I think if you're aware of the place you're in... And working on those connections, you're doing amazing! so true. i am constantly thankful for grace, over and over again. Beautiful words again...I love my drive to work because that's about the only time I am still enough each day to give thanks and ask for help...prayers have been answered many times around here this last few years, whether it was what I was asking for or instead what I needed. So encouraging to my heart this morning. Thank you. LOVED LOVED LOVED this post and just what I needed to read this morning!! I too find myself so fixated on how to pray correctly or the right way, when all I need to do is slow down and have a conversation. Thank you for this gentle reminder! of course :) i need it myself all.the.time. Thank you for sharing your heart! I love to just be able to talk to the Lord throughout the day. My husband and I made it a habit to hold hands and pray together before he goes to bed each night (since I have sleeping problems and am always up later than him) and although they're not always amazing, elaborate prayers, they're from our heart and I love being able to share that with my husband. I know that God always fulfills the desires of our hearts and that when we desire to have a closer relationship with Him, He will be there to help us! so true - and i love that you and your husband committed to do that! so awesome. so glad we are in this crazy stage together, friend! thank you for your words, mare! he does always listen - so thankful for that. this is so encouraging friend! that tweet "prayer is simply open communication God. chances are you are doing it right now." I get so down on myself because there are points in my life where I desperately cried out to God in prayer - like Job- and felt His presence, His voice. But sometimes, like now, my prayers are little bursts and I feel guilty that they are NOT enough. That I need to be physically on my knees at all times. But Jesus wants me at in the good times, the normal parts of my day when I'm at work, on the bus, whatever. thank you for that reminder. you are a blessing! i love that tweet so much. you are a blessing to me, my friend! danielle, amen girl. i've been getting lessons on prayer, too. the lord is showing me how to be deliberate, not necessarily long, but meaty helpful, life-giving prayers. communing with him. several years ago, a dear lady at my church asked me how i was doing. i hadn't been a believer for very long, and didn't know her well. but, told her i was ok, could be better, was looking for a job at the time. she said she'd pray for me. and she did, right there and then. in the church bathroom. that changed my prayer life. she ministered to me so greatly, by saying a quick prayer with me in thr moment, i adopted the habit myself. so grateful for your sharing. your zeal for glorifying christ is a sweet blessing and inspiration to me. p.s. sorry for the typos :) commenting from my "smart" phone. yes i totally agree with that! so glad that woman did that for you that day so you are now blessing others by doing the same!! love you girl! and your comment didn't go to spam…fixed?! I reeeeeally loved this post and can relate on every.single.thing. Bless your heart for sharing. thank you so much for letting me know you can relate, so glad to know that i am not alone in this! I once heard a young mom say "I don't have time for prayer. God knows I love Him." Ouch...that line struck me to the core and made me determine in my heart that I would always talk with him...and develop that relationship that Christ so longs to have with each one of us. this was just beautiful!! thank you for remiding me of what is prayer about!! I write my prayers out every single day, and with post it notes and I have a prayer cork board for blogging friends, and post it prayers for friends and family that way I remember to pray specifically! One of the toughest things for me is in Matthew 6 when Jesus tells us to pray for our enemies and/or the ones that don't love us well, or that treat us awful...but I use that teaching to turn my awful thoughts about someone that Is making me crazy mad or irritable to then pray for them instead! oh man, you always reflect my exact thoughts on prayer. I could have written this post. Amen to learning, one baby step at a time.